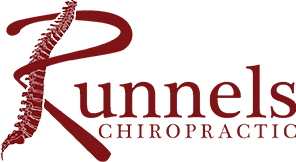 Discover a natural, hands-on approach to better health at Runnels Chiropractic! Bentonville Chiropractor Dr. Steve Runnels ensures that you receive the efficient, effective care you need to feel fantastic and get on with your busy day. With same-day appointments and walk-ins welcomed, we keep your visits convenient for you. We deliver excellent health care for everyone, from newborn babies to the elderly. With more than 15 years in practice, Dr. Runnels has been fortunate to help numerous people regain their well-being. Even chronic cases, who have tried several other avenues without success, can see incredible results at Runnels Chiropractic. Chiropractic care can help you keep your body well. In your daily life, many forms of stress occur. Added together, they create subluxations that put pressure on your nerves and cause pain or disease. We can help you maintain a high level of wellness so that you don’t have to experience episodes of discomfort or sickness. Did you know that chiropractic care can assist your body in functioning at a higher level? You can see an increased range of motion, better joint stabilization and nerve facilitation with our gentle methods. Dr. Runnels, with a background in sports, enjoys providing care for youth athletes who want to participate fully in their sports and stay healthy. Chiropractor Bentonville Dr. Runnels is well-versed in extremity care and can adjust hands, feet, knees, elbows, shoulders and more, bringing a head-to-toe approach to your health care. Stay active and enjoy the highest quality of life. Contact us today to get started! We offer no-charge consultations so that you can find out more about what we can do for you. Over our many years in practice, we’ve had the privilege of impacting numerous lives, treating a broad variety of issues through chiropractic care. Dr. Runnels had a 12-year-old patient who had problems with bed-wetting. After being adjusted, she was able to have sleepovers at her friends’ houses without worrying about the embarrassment of being unable to control her bladder. Patients who have had seizures, saw their episodes decrease in intensity and frequency. One patient in particular had their seizure cease within a couple of minutes after being brought in by a loved one; they were able to avoid going to the hospital for a costly, time consuming visit which would tend to leave them “hung over”, for the rest of the day, due to side effects from medications. Those with debilitating headaches and migraines have gone from, not being able to function during the day, to finding relief and staying well. Experience what we can do for you. Schedule your appointment at our chiropractic office today! Same-day visits are available, and walk-ins are welcome. I am an avid runner and lead a very active lifestyle. A few months ago, I started having some pain in my hip area. I visited Dr. Runnels and after a thorough exam and x-ray, he identified the issue and started treatments. Since then, my pain has significantly decreased and does not bother me. I also realize the importance of getting regular chiropractic adjustments so that I continue to be as active as I want to be. Keeping the body (even the feet) in proper alignment helps me feel my best and helps decrease my risk of injury. Dr. Runnels is very personable and does a great job of explaining how important regular adjustments are in maintaining health. During my recent pregnancy I suffered from painful carpal tunnel syndrome. Before I began seeing Dr Runnels, I was only sleeping about 30 minutes at a time before I would wake up with my hands and arms completely numb. After the adjustments, my sleeping has greatly improved and I have relief from my numbness and pain! Since my son was born I have taken him for adjustments also, he sleeps so good when we get home and is a very happy baby. Thanks Dr Runnels for keeping me healthy during my pregnancy and beyond and keeping my son well adjusted! Hallelujah, I feel 100% better on the day after my first adjustment! I hate to admit that I was scared to come in but the overall process was smooth and professional. Don’t be afraid to come in so that you can get the relief you need. I highly recommend Dr Runnels and his amazing staff. Dr. Runnels is a true professional. I came into his office nervous and skeptical about chiropractors. I have been to many doctors who I felt have not taken the concerns of my body seriously. Upon arrival, his secretary was very professional and took wonderful care of me. I met Dr. Runnels and my nerves calmed almost instantly. As I was explaining my issues, I felt he was truly listening to me. He did not just jump to a conclusion, but took the time to look at various things and determine the best course of action. He answered all my questions when I did not understand and that means so much to me. I did not understand some of the terminology, and he explained them in a way I could understand. He is very honest about adjustments and how he is going to adjust me each time. He is also very understanding about my work schedule, so I did not feel pressured at all. I would highly recommend Dr. Runnels.